Amplify is a unique DAM solution for managing the entire process of creating high-quality product images, managing and sharing images and other assets centrally, and formatting and sending product images to customers, resellers, and internal systems. 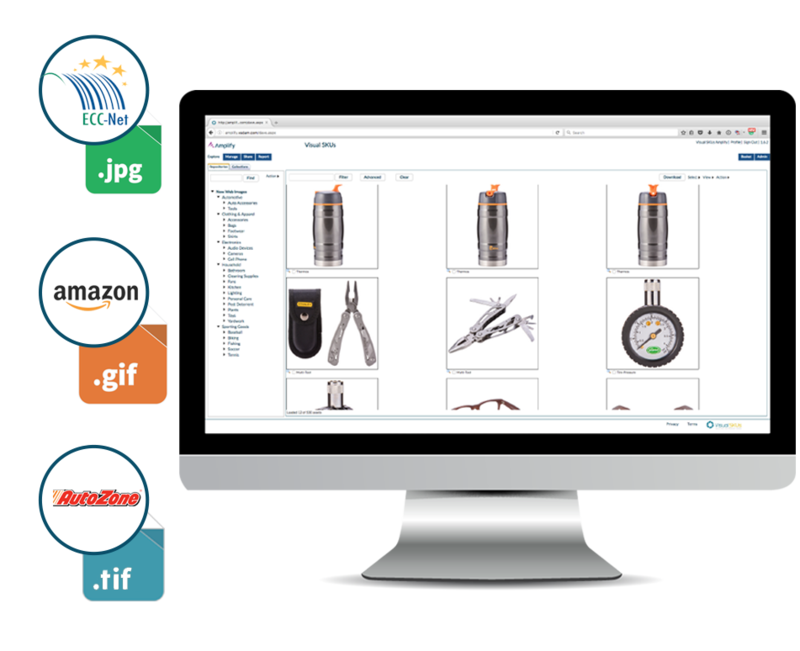 Powerful workflows for high-volume product photography, image editing, image QA, and project management. Large-scale product photography projects involve many moving parts including receiving and handling products, SKU numbers, UPCs, product categories, image views, file formats, samples, quality control, project management, reporting, and users (photographers, editors, QA resources, and managers). Amplify is a complete solution for managing all aspects of high-volume product photography and image production projects. 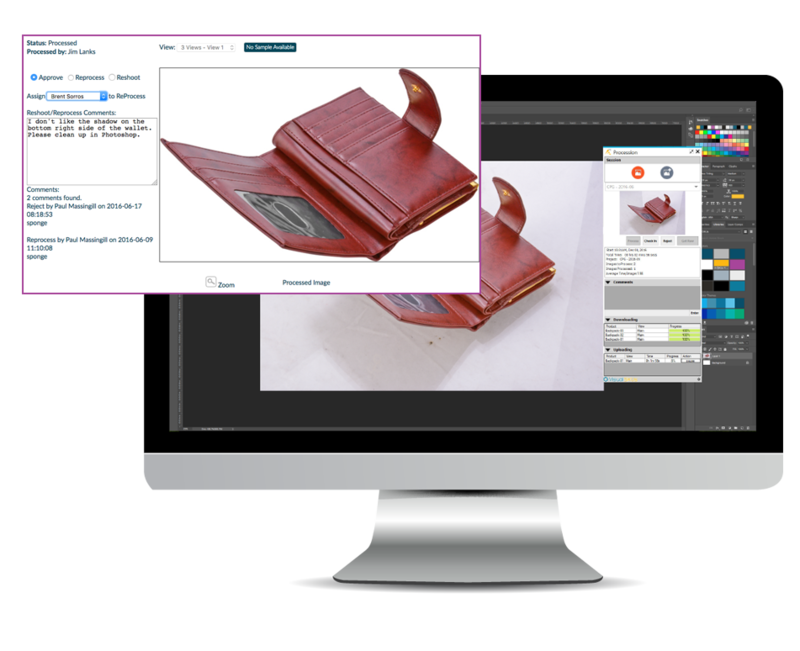 The entire process of creating quality product images is streamlined, structured, and designed for speed, quality, organization, and visibility. Centralized organization, management, and sharing of digital assets, metadata, and customer profiles. Product-centric businesses need more than an off-the-shelf DAM system. They need a system that can effectively organize thousands of products spanning multiple brands and categories. They need to manage complex asset metadata. They need to define detailed customer profiles that can be used to send digital assets and data. They need customized reporting that tells them what assets they have, what are missing, and who in their sales channels needs assets. And they need to provide anytime, anywhere access to users, groups, and internal systems. Amplify is the flexible DAM solution allowing businesses to configure the system to meet their exact needs and requirements for organizing, managing, searching, reporting, and sharing digital assets. The biggest digital asset challenge facing product-centric businesses is formatting and sending product images and other assets to customers, resellers, and internal systems. 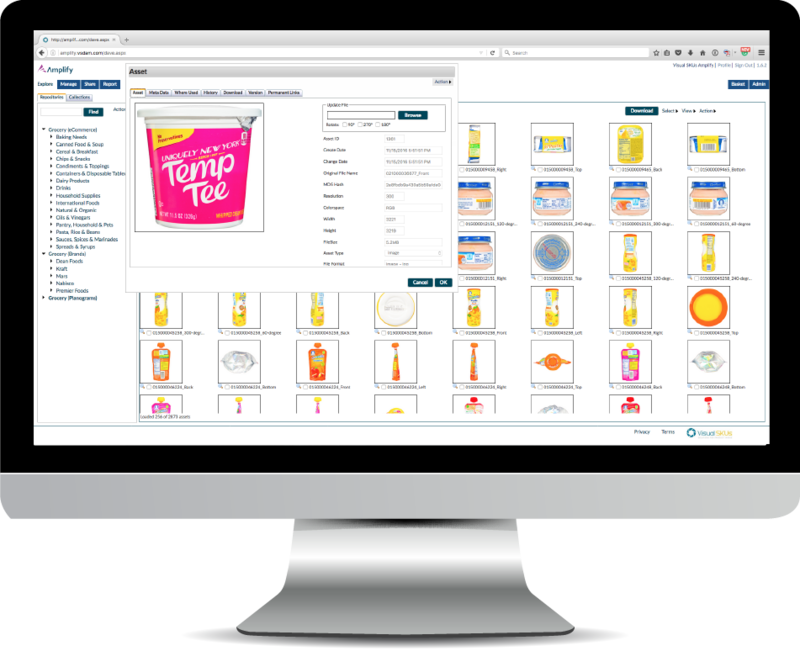 Each one requires assets for a unique sub-set of products. Each one has specific formatting and naming requirements. Some want all digital assets sent while other want only those that have changed. And each recipient has specific delivery requirements i.e. FTP credentials. This format and delivery puzzle is resource-intensive, time-consuming, and expensive. Amplify provides powerful functionality to automate this process. As images and other digital assets are produced, the system will automatically format and send them according to the recipients’ profile. This saves resources, lowers costs, and gets assets into the market fast.